YAKI, Rae Jeannine - Peacefully with family by her side on December 5, 2017, in her 88th year, at Northumberland Hills Hospital. Loving mother of Don (Angie), Jim (Lianna), David (Stefania), Robyn (Steve), Barb, Tric (Joe). Extended family to Teresa Russell, Carol Humble and Cheryl Yaki. Proud grandmother to 18 grandchildren and 8 great grandchildren. REID, Robert Lorne "Bob" - Passed away peacefully at Lakeridge Health Oshawa on December 5, 2017 at the age of 79. Loving husband of Carol for 54 years. Adored father of Kelly (Derek Parent) and Christopher (Laurie). 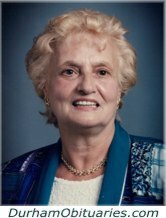 BARANEK, Lorraine - It is with great sorrow and heavy hearts that we announce the sudden passing of Lorraine Baranek on Tuesday, December 5th, 2017, in her 68th year. Daughter of the late John Baranek (2007), and Mary Baranek (2017). Beloved sister of Richard, John, Caroline, Christopher, Francine, Stanley, the late Daniel (1998) and Baby (1956). Adored Ciocia of Adrian, Katrina, Jonah, Daniel and Megan, great Ciocia of Autumn. Survived by many aunts, uncles and cousins. Predeceased by John Krawtchuk. Lorraine was born in St. Catharines, Ontario and moved to Pickering in 1990 where she was employed at OPG as a Nuclear Operator. 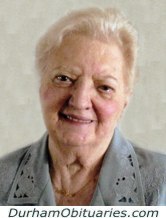 Upon her retirement in 2015, Lorraine moved back to St. Catharines. 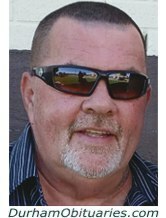 CAMPBELL, Kevin Matthew - Peacefully on Sunday December 3, 2017 at his home in Oshawa at the age of 59. Kevin beloved husband of Carol Campbell (nee Haight). Much loved father of Jill Campbell, Lawna Shannon (Jerrod Shannon), and Ashley Campbell (Brandon Millson). Proud Papa of Keaton, Dallas, Gracie and Denver. Kevin is predeceased by his parents Robert and Veronica Campbell and will be deeply missed by his family and friends. 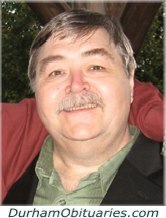 FORSYTHE, Robert Wayne - Passed away suddenly on Monday December 4th, 2017 at Sunnybrook Hospital in Toronto, Ontario. He will be forever loved by his wife of 40 years, Barb Forsythe, his two children, Michael (Dawn) and Kelly Anne (Negar), and his three grandchildren Kiana, Robbie and Kaylee. Predeceased by his parents Thomas and Mary Forsythe. Sadly missed by his sisters-in-law Marilyn (Jim) and Tisha (Bill) and by his nieces & nephews - Billy (Sue), Terri (Stuart), Lisa (Aaron), Christopher and Robert. 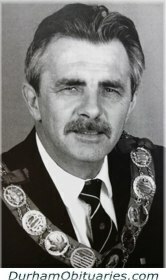 Passed away peacefully on Monday December 4th, 2017 at Lakeridge Health Oshawa at the age of 81. Beloved wife for 55 years to Ted. WALKER, Vincent (Vin) “Mr.Softball” - With great sadness the family announcing the passing of Vin Walker on December 4th, 2017 in his 82nd year. 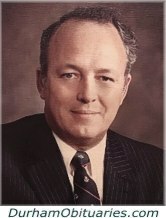 Son of the late Ernest and Gwen Walker. Loving husband for 61 years of Jean. 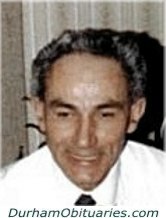 Cherished father of Karen Mulligan (Andre) and Kevin (Laurie). Dear grandfather of Meghan (Shawn), Justin, Kyle, Adam and Nicole. 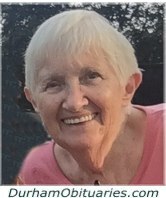 LAZENBY, June - It is with extreme heartbreak that we announce the sudden passing of June Lazenby (Moore) on December 4 2017. 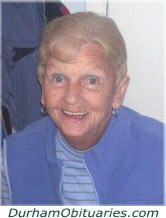 Beloved mother of Kerry, Leigh, and Julie. Loving and completely amazing Nanny of Olivia, Andrew, Samantha, Aaron, Simon, Samuel, Max and Molly. Adored sister of one remaining brother Ross (Nanette). Predeceased by her mother and 8 other siblings. June will be dearly missed by her large extended family friends. It’s with great sorrow that we announce the peaceful passing of Lorraine Suddenly with her granddaughter Jennifer at her side after a lengthy battle with Pulmonary Fibrosis on Thursday, November 30, 2017, in her 87th year. Beloved daughter of the late Charles Lamb and Muriel Lamb (Read). Predeceased by her husband Ivan Lloyd Crawford, and sister Lillian Farrow. Peacefully after a lengthy illness, at Ajax-Pickering Hospital on Sunday, December 3, 2017 in his 79th year. Beloved husband of Flora for 51 years. 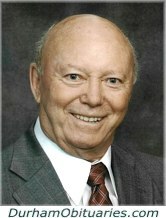 BROWN, Clifford - It is with profound sadness, much love and final acceptance, that we announce the passing on December 3, 2017 of a devoted husband, wonderful father and inspired grampa. After a courageous seven year battle with cancer, our Lord and Saviour Jesus Christ called for Cliff to come home. Cliff leaves behind his beloved wife of 31 years, Eve, and his children Jennifer (Paul), Charles, Theresa (Les), Neil (Darlene), Heather (Eric), Paul, Heather Lynne (James), Daniel (Melissa), 21 grandchildren and 5 great grandchildren. Loving brother to Frances, Lorne (Joan), Stewart (Sandra) and Keith. CHANCEY, Joe - loving husband and best friend of Tracy (Badour) passed away suddenly on December 3, 2017. Beloved son-in-law of Gloria and the late Jacques Cote; dear brother-in-law of Shawna and Brent Badour and much loved uncle of Brittany and Justin Badour. Predeceased by his beloved grandmother, Anna Grossmeyer, who raised him. 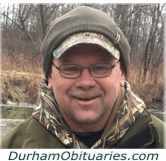 He will be fondly remembered by his mother, Clara Brossoit; brothers Mike (Tasha) Chancey and Bob (Tracy) Brossoit and sister,Teresa (David) Stone. Joe will be missed by his furry kids Beezie and Oreo and by friends and extended family. 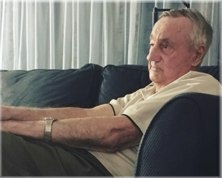 Passed away suddenly at his residence on Sunday, December 3, 2017. Predeceased by his parents Jack and Jacqueline Wells. 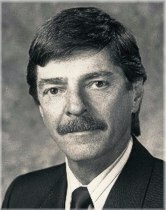 Beloved husband of Roberta (Dawe). Loving father of Rebecca (Greg) and Calvin (Jennifer). Will be sadly missed by his grandchildren Matthew, Andrew and Charlotte. Loving brother to Stan (Gloria), Karen (Peter), Alan (Barb), Christine (Dave) and Kimberly. Passed away peacefully, surrounded by the love of his family on December 3, at the age of 56. 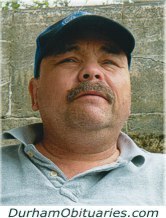 Beloved husband of his devoted wife Kelly for over 25 years. Proud father of his daughter Sam. Son of David and Lillian. Cherished nephew of Eleanor Jones. Mark will be dearly remembered by all of his extended family and friends. 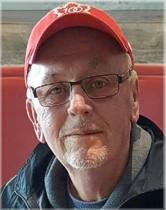 PACE, Carmel - Passed away peacefully surrounded by the love of his family after a lengthy illness on December 3, 2017 at Lakeridge Health Oshawa, Palliative Care Unit. Loving and devoted husband of Nellie for 62 years.Beloved father of Frank (Wendy Porter), Lynn (Ted) Stacey, Esther (John) Pace-Glen, Shelley (Darryl) Taylor and the late Esther Maria. Cherished Grampa and Opa of Adrienne (Jesus), Nathalie (Anthony), Tyler, Sara (Rick), Jason, Matthew (Nicloe), Thomas, Valerie (Dustin), Corey (Kellie), Meghan (Peter), Brandon, and great grampa Carmel of Cassidy, Cailey, Caidy, Cason, Coen and Leo. Predeceased by his siblings Connie, Fred, Mary, Frank, Tom and Gracie. After a valiant struggle with many health issues for many years, Mom was released from this life to be with Heavenly Father and other family members. 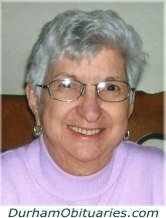 Beloved wife of the late Bruce C. Clark (Dec. 1999). Loving mother of Janet (Bob) Warrington, Phil Clark, David Clark (predeceased 1980), and Kim Clark (Nancy).